The enchanting white sands and sound of the gentle waves pervades at Orange Beach, Alabama. The sparkling waters of the Gulf of Mexico are inviting and you can just sit around and do nothing if all-around relaxation is what you desire. Orange Beach vacation rentals are just the thing to get into that mode, but there's also plenty to do in the area to fulfill an adventure that you won’t forget anytime soon. Water adventures at Orange Beach include dolphin cruises as well as sunset and dinner cruises. The majestic colors of the sky and ocean appear as the sun sets and twilight sets in, but for some classic family fun, take a jet ski ride along the coast or go parasailing for a unique perspective. There is plenty of time for the beach here, but you can also visit one of the several nature reserves to explore the life of alligators or hike or canoe in the Alabama Delta. When the family stays at Orange Beach rentals, it is hard not to include some old fashioned exploration in your itinerary, but then again, everyone is sure to find themselves relaxed just from the space they have at the rental. If an adventure on land is preferred, then hike the Hugh S. Branyon Backcountry Trail and see the plant life that lines the path all the way to Gulf State Park. Bird watching is at its best at the Alabama Coastal Birding Trail, so be sure to entice the family to come along to see the diversity of bird species. Orange Beach condo rentals will make you feel fortunate and happy, especially when you can move at your own leisurely pace when you're there, have a casual breakfast or lunch, or just kick back on the couch. You will feel even more privileged to witness the hatching of endangered turtles on the beach; the only catch is you have to be up in the late night hours to get a glimpse. Other activities at Orange Beach include seeing a movie, playing miniature golf, riding on go-karts, or a visit to the Alabama Gulf Coast Zoo in nearby Gulf Shores. You'll find clothing stores and galleries in Orange Beach as well to satisfy your window shopping or souvenir seeking urges. A small splurge here and there is fine, since the vacation budget for Orange Beach condo rentals is much more affordable than a hotel or motel. The perfect family getaway awaits at Orange Beach if you long for a relaxing and stress-free vacation. 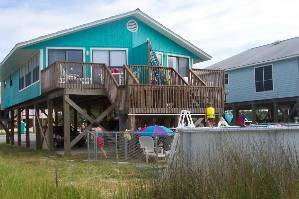 Orange Beach vacation rentals offer many options for comfort and luxury you won't find at a hotel or motel, and you'll find the accommodations a much more worthwhile experience, especially with the wide expanse of nature to explore. The memories of family fun at Orange Beach rentals are guaranteed to be more vivid because this is not your typical vacation experience. You might leave here wishing it was your home and not just a brief getaway. Check out nearby Fort Walton Beach , Ft Walton Beach , Gulf Shores , Navarre Beach , Pensacola Beach , Perdido Key .